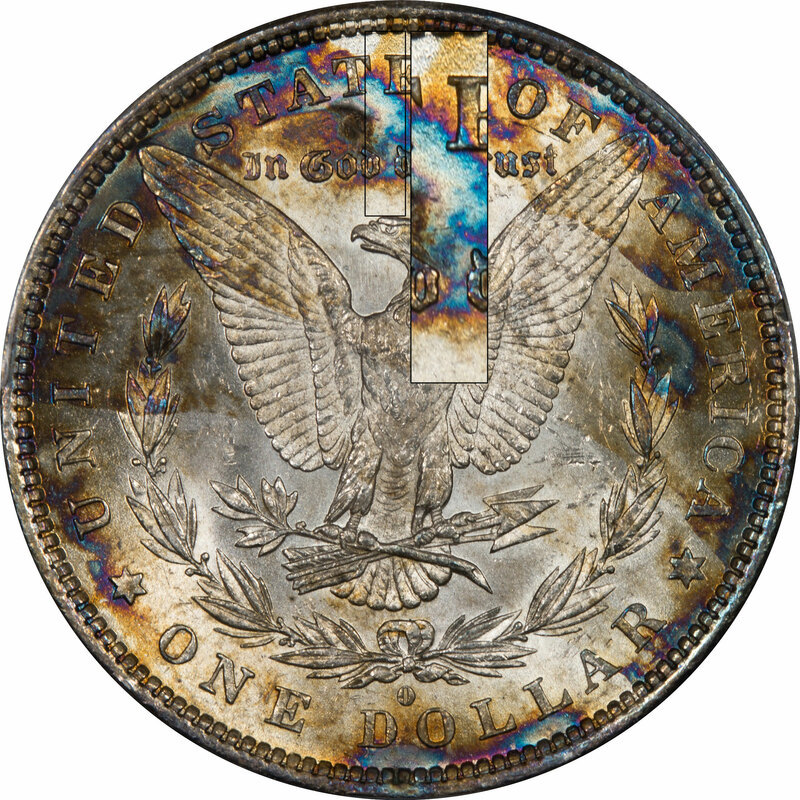 Comments: When you look at the images below with the color dropped out you can see that PCGS got the grade right. 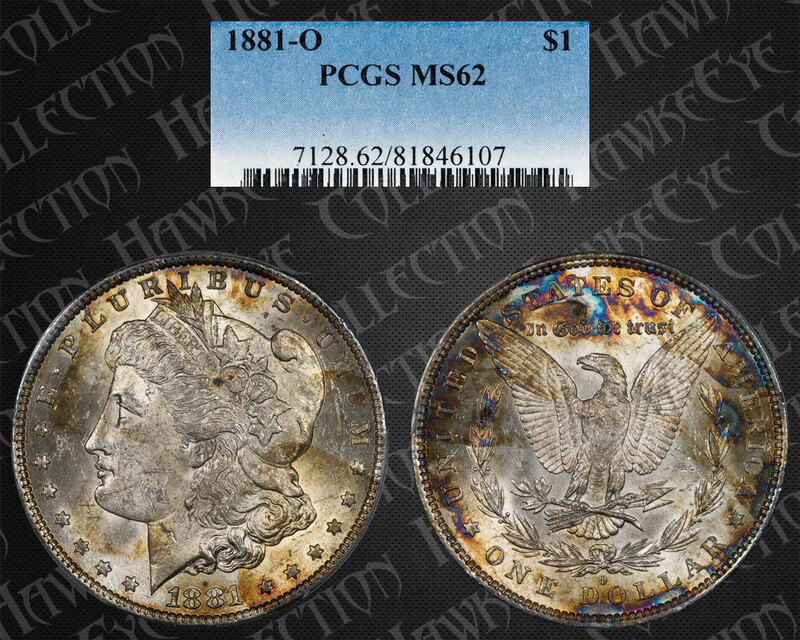 There are sufficient bag marks in the fields and on the devices to earn the grade.. To us this coin gets some style points, but the color would not be to everyone's taste. This just looks like one of those New Orleans coins repeatedly exposed to moisture and left in some bad storage area. This is definitely early bag toning. 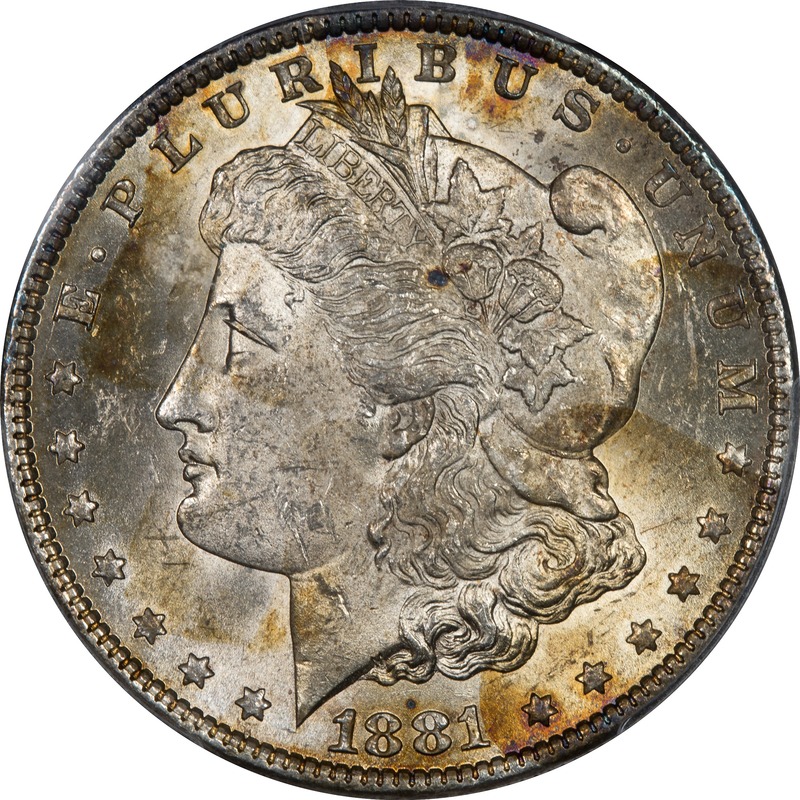 This is definitely an early bag toned coin and to us very attractive because the colors come out almost looking like spots of fire. The colors include powder blue, peach, and magenta.